During a discussion about one of his films, Alfred Hitchcock used the term “MacGuffin” to describe one of his techniques. He explained it succinctly as, “the device, the gimmick, if you will…In crook stories it is almost always the necklace, and in spy stories it is most always the papers.” A MacGuffin can be an object, a person, a place, or an event. In most cases, it is something that the film’s primary characters are looking for. However, the exact nature of a MacGuffin is not supposed to be overly important to the audience. In reality, the MacGuffin has hardly any substance beyond its purpose on screen, it is irrelevant in relation to the action or drama that we enjoy. However, despite MacGuffins not actually being anything meaningful, I would argue that some of them have played a major part in the success of many of our favorite movies. I would even go so far to say that many of them are responsible for making some great movies work so well. Below are my picks for the ten most influential MacGuffins in film, along with an explanation of how each has transcended our expectations of what a MacGuffin can accomplish. The Maltese Falcon (1941) is a classic example of a MacGuffin, both in terms of methodology and timing. While Hitchcock would first use the term MacGuffin to describe the plot device in his 1935 film, The 39 Steps, The Maltese Falcon would become one of the best early examples of the concept. The Maltese Falcon is based on a 1929 novel of the same name, and the 1941 film was actually the third adaptation. The reason for so many adaptations in such a short amount of time was that the detective type of storyline was incredibly popular at the time. The film would become a staple of the noir style, and would influence countless others. Behind it all was the object that the film and novel were named after, a jewel-encrusted statue of a bird. That bird became the model MacGuffin for future noirs to follow, and classic noirs sure love their MacGuffins. Quentin Tarantino is a student of film. All of his movies borrow heavily from those cinematic creations that have come before. He borrows great ideas from the past and mixes them together to create something new and exciting. 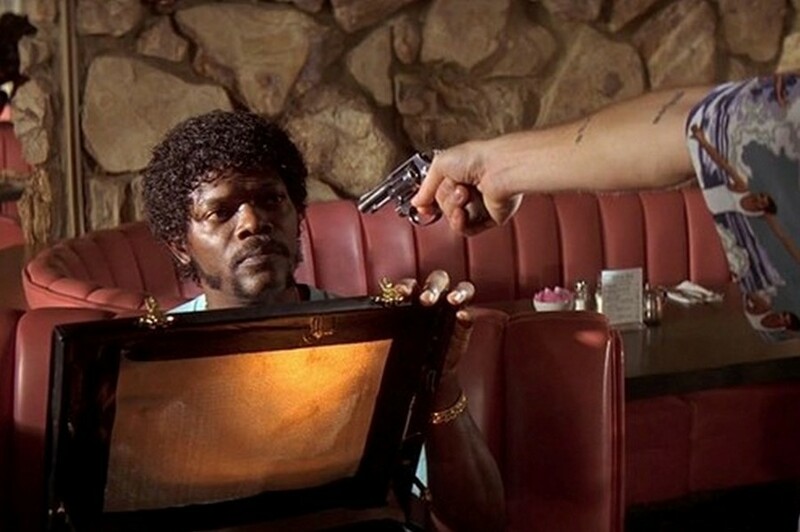 In Pulp Fiction, Tarantino plays homage to the mighty MacGuffin by creating The Briefcase. It is something that the characters are after, but he never shows us what is inside. It is a bit of a tongue-in-cheek nod to Hitchcock, where the character’s goals don’t really matter. We see their faces when they look inside, we see the mysterious glow. The audience really wants to see what is in there, but Tarantino denies us that luxury. He is playing with us by using the legacy of the MacGuffin. Like many of the other famous MacGuffins on this list, the Letters of Transit don’t actually exist in real life. But what if they did? The Letters of Transit supposedly provide safe passage through Nazi-controlled territory. From the perspective of those who are stranded in Casablanca, it can be seen how this would be of keen interest. The papers offer a freedom and security that could be worth a significant risk. The Letters of Transit are also a classic example of a MacGuffin. The script applies a value to them, and it is this value that drives the character’s motivations and creates the drama. The fact that they are the centerpiece of one of the most revered and respected dramas ever made is what lands them on this list. So the Rabbits Foot may not be the most famous MacGuffin on this list. It may not have a substantial legacy, it only is featured in one film, its purpose is actually entirely unknown, and when you think about it, all the Mission: Impossible films revolve around some type of MacGuffin. However, The Rabbits foot allowed the creation of the Mission: Impossible franchise as we know it today – I would argue the most consistent and exciting in all of cinema. How does it do this? By making other things matter more. Mission: Impossible succeeds as a franchise due to a focus on incredible stunts, dangerous set pieces, and lots of motion. Leaving The Rabbits Foot as ambiguous allows M:I 3 to focus on all of those more entertaining aspects. We don’t need a complicated set-up a’la the original Mission: Impossible film. We don’t need to waste screentime in order to create a backstory to develop a sense of urgency like in M:I 2. Instead, the Rabbits Foot lets the film jump directly into the action (and drama), and the sequels have followed suit. The first MacGuffin that transcends a single film is actually a set of MacGuffins. The Horcruxes are a series of objects that are created by Dark Magic and unspeakable deeds in order to gain immortality. To defeat Voldemort, Harry Potter must destroy all of the Horcruxes. Although this effort doesn’t consume the entire series of films, it does become the focus from Half-Blood Prince onward. This is a great use of a MacGuffin because it turns the characters onto a quest and also gives the narrative a foreboding quality. The last three Harry Potter films are very dark and heavy, which is what makes them so effective. Part of the reason they are so dark is due to the burden that these MacGuffins create on the central characters. A common use of a MacGuffin in film is to first introduce it to the audience at the beginning of the film, and then the rest of the film consists of the characters trying to obtain it. That is what Peter Jackson’s Lord of the Rings films do, but this process is stretched out over the course of 6 films. The Hobbit prequel trilogy is the backstory. The opening of the Fellowship of the Ring describes the conundrum, and the importance of the ring. It also provides the reason why it must be destroyed. The remaining two films are the conclusion of that effort. The trilogy is basically six films revolving around a single MacGuffin. That makes the One Ring a powerful MacGuffin. The Holy Grail is the ultimate tangible MacGuffin in the movies. It is the ultimate treasure for adventurers, the ultimate conquest for kings, and the ultimate achievement for an inconsequential man. The importance of the Holy Grail also seems to attract all sorts of evil and danger, which is the perfect formula for an entertaining film. We’ve seen the Holy Grail in countless places, in tones of deathly seriousness, rambunctious comedy, and worshipped through the eye of history. 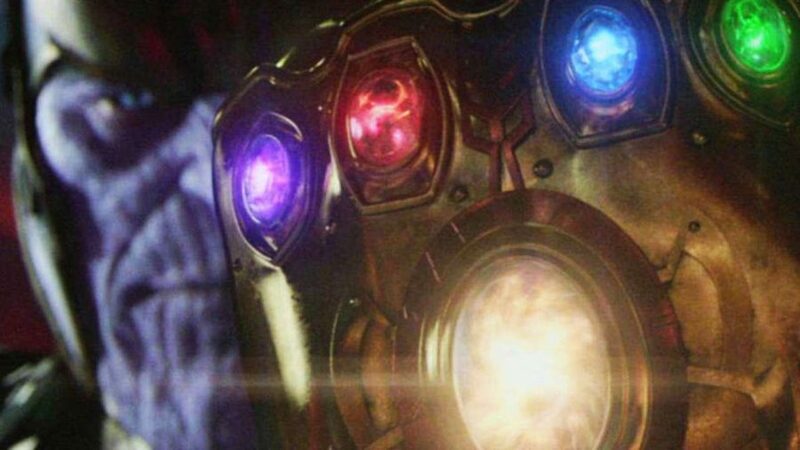 The Infinity Stones are a unique type of MacGuffin because the MCU is a unique franchise. Never have we seen something so big, with so many different moving parts orchestrating one giant overarching story. The Infinity Stones fit in there somewhere. The stones got a moment to shine in a few individual films, but those moments serve only as the audience’s introduction to them. With Avengers: Infinity War, they finally become a traditional MacGuffin. The stories revolving around the stones were like puzzle pieces, and Infinity War is what put them all together. That’s a unique way to utilize MacGuffins that we have not seen before, not to mention the fact that they play a central part in one of the biggest franchises ever made. 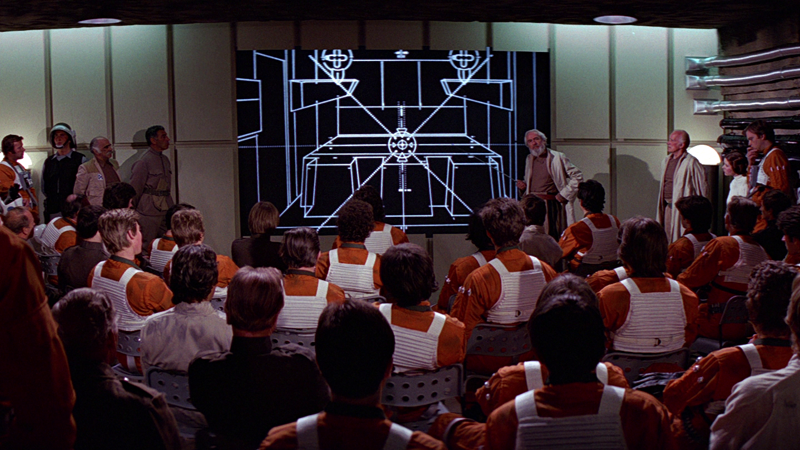 The Death Star Plans from the original Star Wars film are one of the most famous MacGuffins in film history. So famous, in fact, that the powers behind the franchise (Disney) decided that an entire spin-off movie would need to be devoted to chasing after them. How many MacGuffins get their own movie? The necessity associated with obtaining the Death Star plans adds a sense of urgency and spy-film intrigue to a swashbuckling intergalactic adventure. This helped to make Star Wars so enjoyable. That’s also a rarity among MacGuffins, being able to impact their film(s) in a positive way. Whether or not you believe Citizen Kane to be the best movie ever made, we can all agree that the beginning and end of this movie are among the most iconic in all of cinema. What links them together is what I am naming the most important MacGuffin ever conceived. The beginning of the film gives us the dying words of a mysterious and eccentric man. Right away the movie draws you in, such that the audience is the one searching for the MacGuffin as much as the characters in the film. As the rest of the movie unfolds, that word echoes in our mind, but it’s only the surface of an intriguing and captivating experience. Soon we see that “Rosebud” is more than just a MacGuffin. It’s a representative of lost innocence. It is the one thing that a man with everything in the world could not have. Citizen Kane may tell us ultimately what “Rosebud” is, but the explanation is not enough. It’s more than just an object or an idea. It’s both mysterious and hauntingly familiar. No film has achieved so much with its MacGuffin than Citizen Kane has.